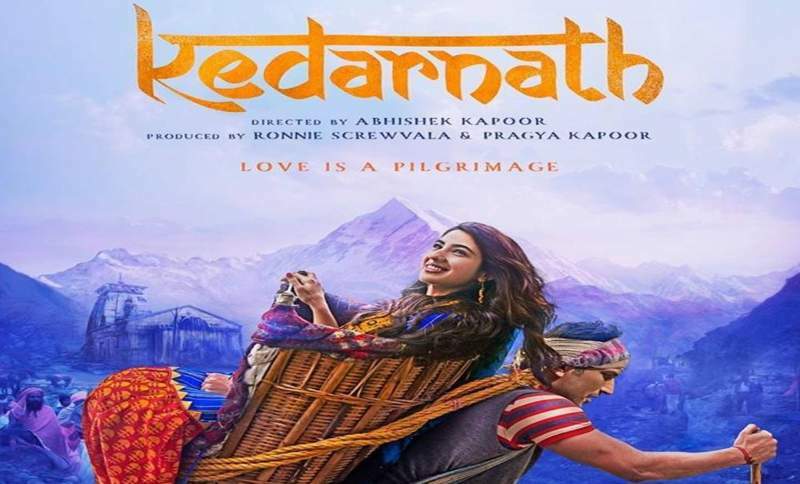 Kedarnath is a romantic drama starring Sushant Singh Rajput and Sara Ali Khan in the lead roles, and directed by Abhishek Kapoor’. The film released on 7th December 2018, certified 'U/A' with the runtime of 120 minutes. Here we bring you all the critic reviews and ratings of 'Kedarnath'. We will keep updating this post as new critic reviews come in. The screenplay has its strengths and weaknesses, but through the crest and trough of dramatic waves, what stands out as a solid force is young debutante Sara Ali Khan. Kedarnath ultimately falls short of living up to its promise, but I was happy to visit its world. The imagery is overwhelming, even if the writing feels laboured. But the writing is sketchy, and the tone confused, never quite knowing whether to go quiet and life-like or to swell with wailing violins, especially when the waters start rising, and life-threatening danger starts looming. Kedarnath is a pointless, entirely forgettable film, but some may remember the girl fondly — which may well be the film’s only task. The film strings together elements that seem promising at first flush. But the positive features are eventually buried under a deluge of clichés aggravated by a contrived climax. The second half has so much stuffed into into it that little makes an impact – including the flood. The narrative races choppily from one disconnected scene to another. Wonder if this stuff still works in the front benches; forget the few highfalutin film-buffs. Who knows? Wish them well; of course. Truth be told, Amrita Singh and Saif Ali Khan's daughter has tons of filmi blood and it is what powers Kedarnath from start to finish. Of course, the climax has something different to offer (which one cannot reveal). But having said that, the film needed to up the entertainment quotient to a large degree. This just seems like watching a '80s Hindi movie for an hour-and-a-half and then a '80s shark movie for another 10 minutes. Summing up, Kedarnath dazzles you with its scenic imagery and it's fresh pairing. But it's also a case of missed chances. Sadly, Kedarnath the film too is washed away by the floods before your mind can start thinking about it. What stays are the characters. The filmmaker tries hard to make us believe in a love story that isn't really organic. Kedarnath fails short of stirring up emotions the way it intends. It ends up being an empty, unmoving watch.